It's a bird! It's a...wait a minute, why would anyone be that excited about a bird? And for that matter how would you confuse a grown man in blue and red tights and a cape with a bird? 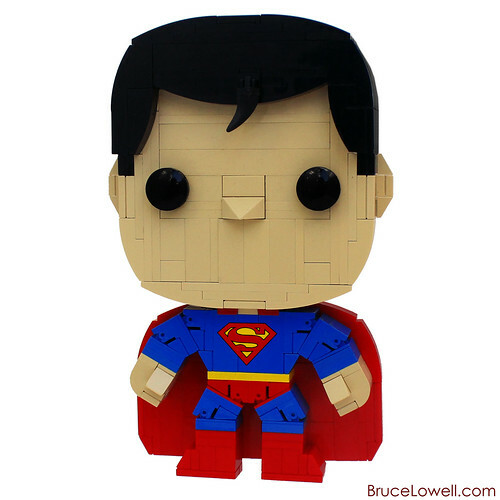 Anyway, just in time for the release of Man Of Steel, Bruce Lowell brings us this amazing little creation. The next in his growing line of MOCs inspired by Funco's POP! Heroes.